No.. there's no kissing going on but I do have several things running through my mind so bear with me. Even as I type that I can't believe it. Most of you know that I am a HUGE MJ fan, but you probably don't realize I do love me some Prince and I can say that I am absolutely glad that I got to see him in concert when he came to NC in 2011. Best concert ever. Anyway.. needless to say SHOCKED...STUNNED... and any other word you can imagine is how I felt. This past week started off with the death of the ex's aunt that I told ya'll about before a few years ago, I adored that lady..she always treated me like family and I love her for that. Then the anniversary of the death of my grandma was next which always sends me into fits of WHYYYYYY CANT MY GRANDMA BE HERE?! .. then Prince died..ALL THIS IN THE SAME DAYUM WEEK!!!!! If you saw me walking around like a zombie with swollen eyes and bags under em..now you know why. Back to Prince.. I can remember riding the school bus and the conversations would be "who is your boyfriend... Prince or MJ..pick one." Of course I always picked MJ but hell you can't go wrong with either choice. I think my love of MJ ran deeper since that is the music I heard the most in our house. My deddy played the Purple Rain album, had the poster in our basement and I would gaze at it.. wondering the story behind it because the poster was odd to me, but I knew I loved the Purple Rain album. 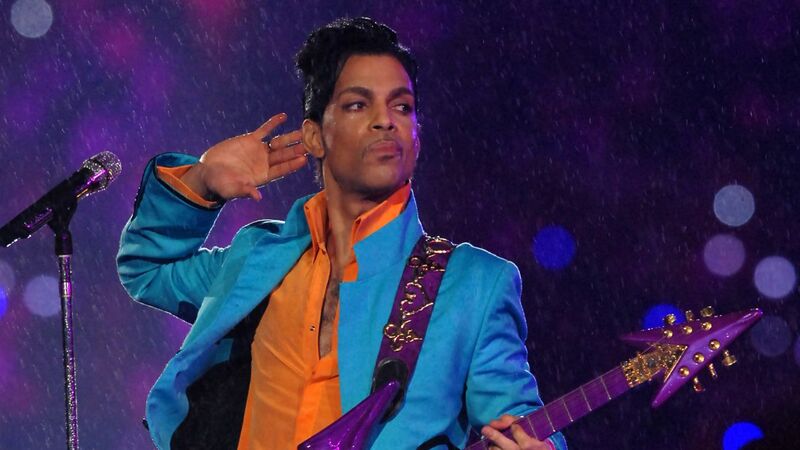 My cousin was and is a die hard fan so whenever he came over, that's all we heard..Prince..Prince..Prince...hell even at his wedding..it was literally so much purple I thought doves were going to start crying. Anytime Prince or MJ was on television my parents would let me watch their performance, but I think I was a little too young then to really understand just how talented Prince was as a musician, but I knew I wanted a Red Corvette cuz he sang about it, and I wanted to party like it's 1999 in the 80s cuz Prince said so. I wanted to see this Purple Rain he spoke off but when I went outside it was never that color..maybe it doesn't change colors here in NC chile but anyway..I was always super shy growing up but watching both MJ and Prince and hearing about how shy they were gave me some kind of push to drop that shyness when I cheered in front of hundreds of people every week for 12 years.. off the field, you couldn't get me to look you in the eye or speak more than "TREE" words (I'm sorry I gotta keep using Birdman's ignate arse language lol) but on the field..I stepped into my performer mode and transformed into a completely different person. Those two artists, showed me that it's okay to be different, and munk what people say about you...just study your craft and keep getting better at it. That's what I did.. most of the time, while folks were out being fast arses running the streets, I was at home trying to perfect new jumps, teaching myself how to aerials (it's a damn wonder I didn't break my f'n neck doing this ish on concrete but anyhoo)...u get the point.. just like the great artists--I wanted to be great in cheerleading.. and as I got older the same mentality with my writing. THAT is why I'm always like "I'm busy..I'm writing.. I can't..I'm writing.. Nawl.. I gotta write.." and why I constantly have my head in a book or at the WRECKA STOW.. I want to be the great just like they were. I had also hoped that one day in my lil writing career that I could interview Prince --but I knew it was a long shot but it was still a goal that will remain unfulfilled. 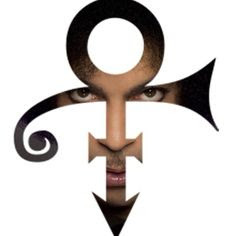 The amount of artists that I have interviewed over the years that say Prince influenced them is amazing..even some of the old school artists tip their hats to him, so that tells you right there the man was talented. Anyhoo.. seeing Under the Cherry Moon at 8 years old left an impression..eh well the first one being..did my mama n'em know what I was coming to see? The second was.. gawd dawg Prince is fine and how can he walk in those shoes?! 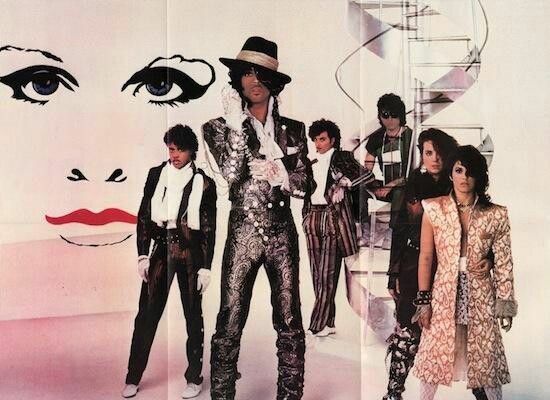 LOL Fast forward years later.. over the weekend I finally got to see Purple Rain in the theater for the first time. I've seen it on television many times over the years but seeing it on the big screen was amazing. It felt like a concert with the audience up dancing in the aisles, singing, and shouting I LOVE YOU PRINCE! I was mesmerized by his performance in the film and walked away feeling like I needed to purify myself in the waters of Lake Minnetonka--because it hit me.. Prince really is gone. I didn't really cry until that night after reading that he had been cremated and I'm like I JUST SAW HIM IN PURPLE RAIN (leave me alone with my logic mmmmk?) and I sobbed..ugly crying thinking this amazing musician has left an incredible legacy for us..he had such an impact on the music of our generation and well I'm not even going there putting this trap music ish on him..but the influence he had on some of my favs is evident and I thank Prince for sharing his gift with us. I also thank him for the gift of shade..cuz BABBAYYYYYYY that man could shade the entire ish out of someone with one look and I was here for it. I already miss seeing his tweets on my timeline..and me wondering why won't someone teach him how to use twitter so he isn't replying to himself LOL but anyhoo.. part of our childhood is gone... MJ, Whitney, and now Prince...and for just a little while I have felt like music died..until I turned on the radio and realized it ain't dead..they left us alllllll this music to listen to so we aren't forced to listen to this generations weird non talented arse music. I'm starting to ramble so I gotta wrap this up... 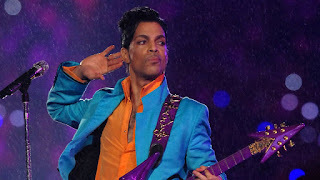 Prince worked hard to protect his music and keep his ish off the internet..and the minute he died, mofos started posting ish up on YouTube--videos, performances, and more. I for one can't make myself even watch any of that stuff, it feels absolutely disrespectful after he fought so hard to keep it off there. While I may be in the minority in this.. that's my way of continuing to pay respect to an icon. Do you have a favorite Prince song? Great blog! Thanks for sharing! Hillarious as always! Thank u for reading Jon! Awesome read! I'm still in disbelief!